A community title subdivision at the quarry site on Broken Head Road, Suffolk Park, has been refused by Byron Shire Council. Mayor Simon Richardson said the proposal was not in the community’s best interest and the site needed to be looked at on a strategic level and not as a standalone. “The quarry was controversial when it was approved in 1999 and continues to pose concerns for the community. “The site has not been included in any forward planning documents and the community had the expectation that it would gradually be rehabilitated at the end of its life,” he said. Mayor Richardson also noted that the Shire had one of the highest biodiversity rates in Australia and Broken Head was one of its gems. “Similarly, the close proximity to Taylors Lake and its cultural significance to our local Indigenous people is a concern. “I’ve never been there as it’s a sacred women’s site and that needs to be respected and protected. We need to talk further with our local Indigenous people,” he said. The Council report also raised concerns on soil contamination and the entry and exit points into the proposed subdivision. In conclusion, aside from the refusal of the DA, a report was requested on the remediation works that were required within the original consent. 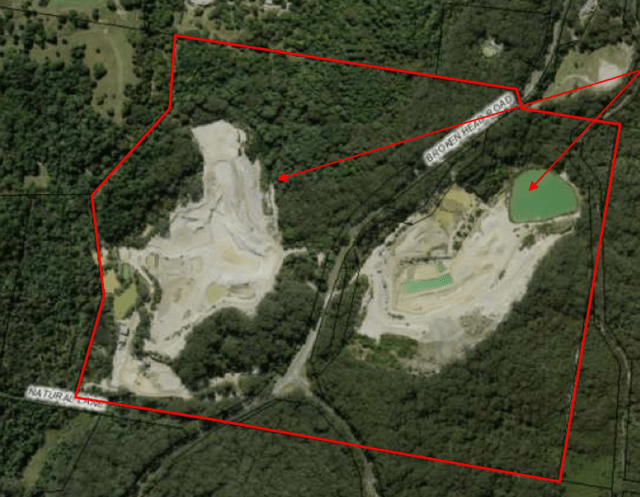 Byron Shire Council voted yesterday to refuse a highly contentious development proposal to turn a former sand quarry at Broken Head into a community title housing development. The council also voted against a staff recommendation that the developers be given the opportunity to reconsider the proposal, with mayor Simon Richardson saying the developers should fix the site first and then wait ten years before they attempted another DA. The mayor and the overwhelming majority of councillors were opposed to the development under any circumstances. They further agreed to require the property owners demonstrate that they were adhering to the terms of their existing DA by remediating the former quarry and regenerating the ecologically endangered vegetation at the site. Cr Chris Cubis alone failed to support the council resolution. ‘The close proximity to Taylors Lake and its cultural significance to our local Indigenous people is a concern. ‘I’ve never been there – and never will do – as it’s a sacred women’s site and that needs to be respected and protected. ‘The quarry was a contentious DA approval in the first place. We want to be assured, now the money and the work has dried up, that they’ve actually put money aside to fix the site. They’ve got remediation to do. Let’s see how that works and tell them to come back in 10 years,’ Cr Richardson said. Former council staff ecologist David Millege spoke against the development during public access. He said that the area contained five threatened rainforest plants, 15 threatened fauna species, and was itself an endangered ecological community. ‘Council’s requirements for progressive rehabilitation of the site have not been met,’ Mr Millege said. ‘We need this to enable viable populations in the long term. What has been done is tokenistic and ineffective. Approval would permanently disrupt the functioning of the wildlife corridor and possibly destroy it,’ he added. ‘The owners must be required to abide by requirements of the existing DA and remediate the land,’ Mr Millege said. Speaking in support of the plan at public access, town planner Chris Power was forced to fall back on legalistic argument to make his case. He claimed when the quarry was approved by the Land and Environment Court, it only had to be proven the proposed development ‘not inconsistent’ with the objectives of the [existing] zoning. Under heavy questioning from councillors Mr Power was unable to provide details as to which parts of the site remained under native vegetation and which parts, if any, had been revegetated. ‘I don’t dispute not all the conditions [of the existing DA] have been complied with,’ he said in response to a question from Cr Paul Spooner. 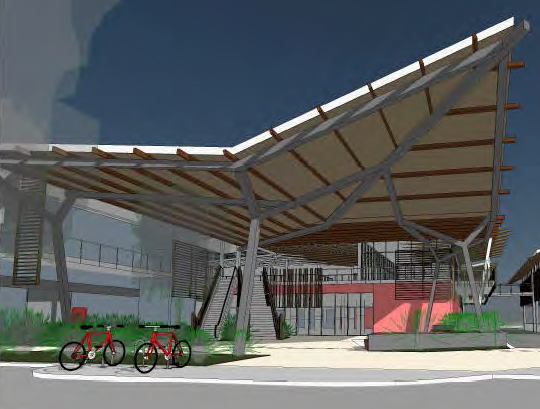 Artist’s impression of proposed shopping centre at the Woolworths plaza on Jonson St in Byron Bay. PLANS for a shopping mall that would exceed Byron Bay’s building height restrictions were approved by Byron Shire Council yesterday. 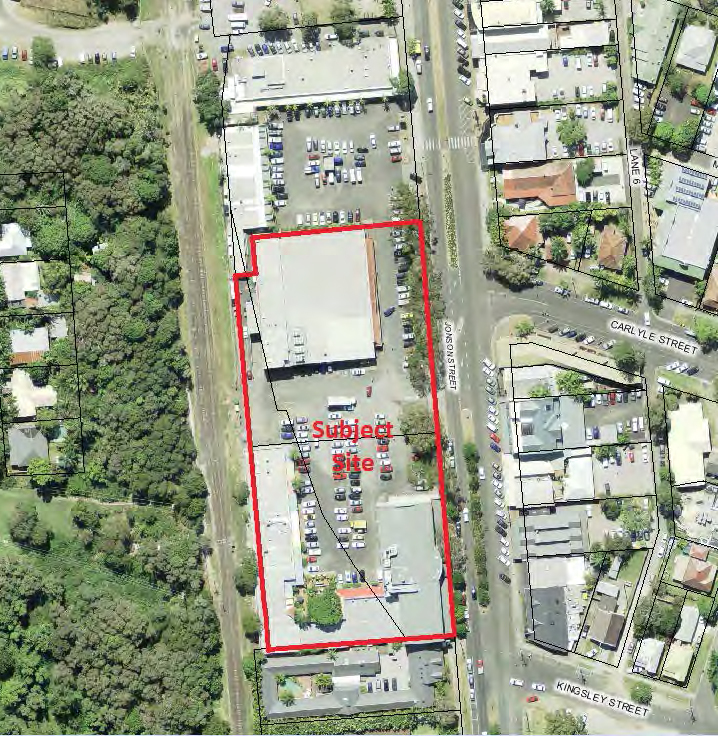 The $18 million Mercato on Byron development will replace the current cinema and Woolworths supermarket in Jonson St and was approved after debate over building heights and how to keep fast food outlets such as KFC and McDonald’s at bay. The council shied away from ruling only “small, local, unique and sustainable” shops be allowed, but a similar covenant must be agreed upon before an occupation certificate is issued. The complex will have two levels of basement parking, a supermarket, shops, bowling alley, gallery and cinema. Councillors approved plans for a central roof area providing natural light and ventilation to reach 13m, exceeding the town’s height restrictions by 10%, but down from the developer’s original proposal of 14.5m. Voting against, Cr Basil Cameron accused the council of “rolling over” on the height issue, saying it set a precedent. 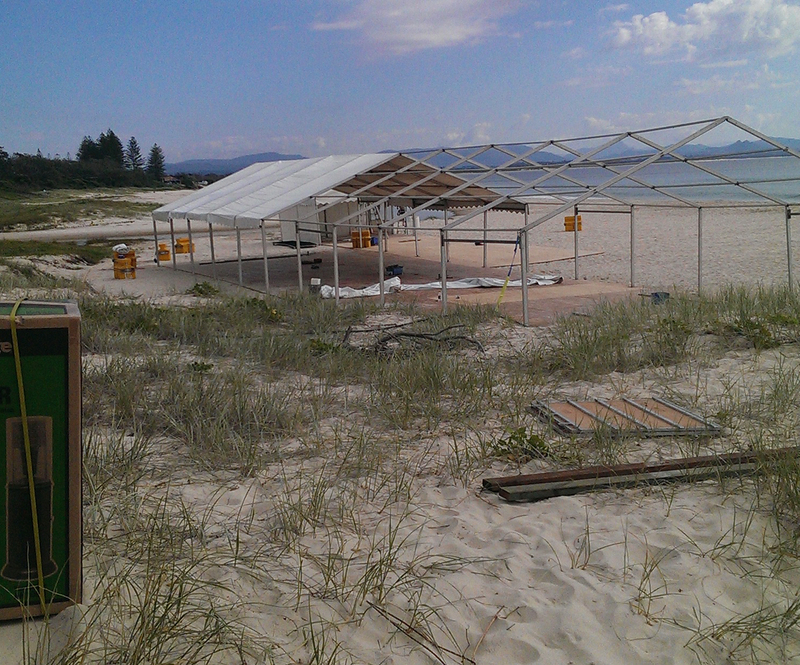 “Our height restrictions are the single most important planning provision to help us maintain the look and feeling of Byron Bay,” Cr Cameron said. 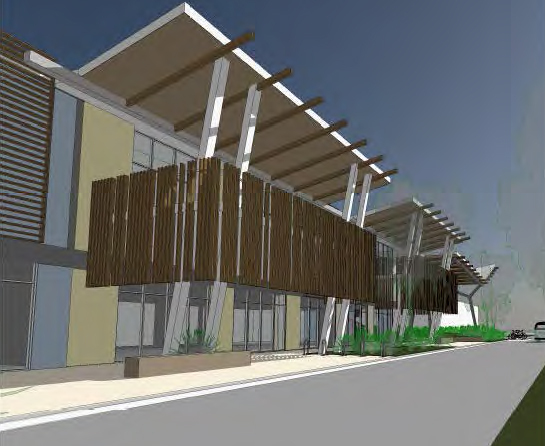 Byron Mayor Simon Richardson, however, praised the developer’s willingness to change its plans when original designs met with community opposition. “I never thought I would say this about a shopping centre, but this development is something we can be very proud of,” Cr Richardson said. “This is a five-star sustainable development that creates a template for the future,” he said. The Byron Shire Council is looking to break new ground as it seeks to keep fast-food chains out of a new retail development. The council today approved plans for an $18 million-dollar redevelopment of the Woolworths shopping centre site in Byron Bay’s main street. The approval included a condition that the developer and council negotiate a formal agreement designed to ensure companies such as McDonalds or KFC cannot become tenants. Mayor Simon Richardson said it was a bold tactic. “What we’re trying to do is sit down with the proponents, have a look through one of the planning mechanisms, which is the 88 Conveyancing Act, which might allow us to have some sort of control as to the type of tenants that come into their shop,” he said. “If that can be achieved, that in itself would be probably nationally or certainly state significant and unique on a state level. “The powers we have are very, very minor. “Bottom line is is something is zoned commercial and something has got an existing use right, it’s very hard for us even to have a say. The proposed design includes underground car parking, a supermarket, cinema, bowling alley and restaurants. Cr Richardson said the developer submitted three completely different designs in response to community feedback and the council’s requests for a sustainable development. Julie Nutting, from Azzura Constructions, agreed it was a unique process. “We came with the intent to create a sustainable, environmentally friendly building and we have listened to community queries (and) questions,” she said. “(We) really tried to achieve the best outcome and we hope that other developers can take the lead that we have and really listen and take on board and be flexible and viable in the community,” Ms Nutting said. 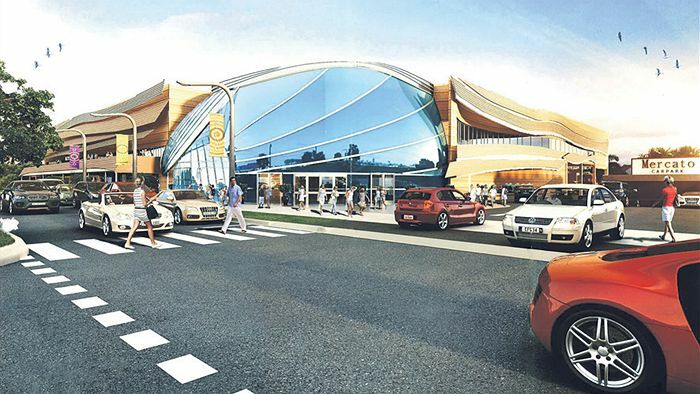 Byron Shire Council yesterday approved the largest-ever shopping centre development for Byron Bay township after a marathon debate lasting over and hour and a half. Despite the five-star Green Star rating of the new building, which will replace the current Palace Cinema and the buildings behind it, one councillor retained concerns about the fact it would break council’s height limit for the commercial zone by some 10 per cent. The existing cinema, carpark and shopping centre will be redeveloped to create a 3,400 square metre mall with a ground floor supermarket, first floor retail shops, restaurants, a bowling ally, an art gallery, a seven-cinema complex, two levels of basement car parking and a terrace over Jonson Street road reserve. A centrally located roof feature will provide natural light and ventilation, contributing to the green-star rating but placing the building above the set height limit. Council has inserted a novel feature in the consent that will attempt to prevent major multinational fast food chains opening up there. 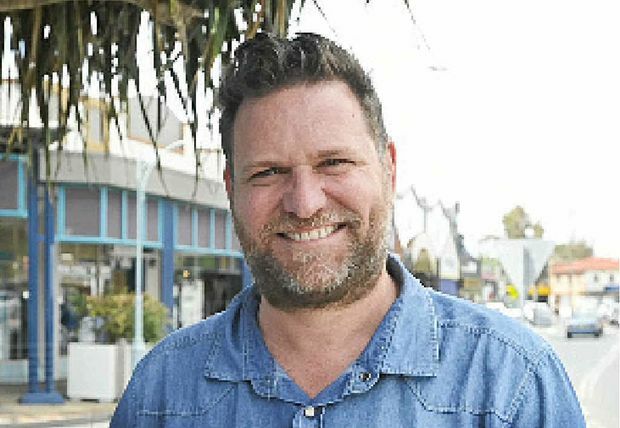 Mayor Simon Richardson, who brokered a deal with the developers after he described their initial proposal as ‘making Byron Bay look like Surfers Paradise’, commended the final plans to council. ‘We are lucky the proponents agreed to consider community concerns – a great position for developer to start with. Council and the proponents worked together to get a five-star Green Star building, the only one in regional Australia: a building with an art gallery and public spaces,’ Cr Richardson said. ‘I think it is the best we can get within the parameters; it’s a great testament to [planning director] Ray Darney and planning staff. ‘It’s a great template for future developments and says to developers “if you’re content with maybe a bit less and give us something the community wants, council is prepared to be flexible”. ‘As a council and staff we are reshaping how we deal with community opportunities in our town,’ the mayor said. Councillors then spent much of the next hour in committee debating the matter, with their main issue being what planning mechanisms were available to ensure the centre did not simply fill up with ‘all the usual chain stores’. Eventually a clause was inserted requiring that ‘prior to issue of an occupation certificate, both council and proponents develop a formal agreement based on a section 88E Conveyancing Act 1991 restriction, that is supported by both parties’ to limit the tenancies. Cr Ibrahim agreed with the mayor that the final plan was a good outcome. ‘In relation to the leases and tenancies, I think we now have a workable compromise. In landscaping, there was a lot already set and there’s now an opportunity to make a beautiful open space for the community. Early on I had concerns about the height but I found the argument from the architect compelling,’ Cr Ibrahim said. ‘I only hope we haven’t reduced the capacity of the building to achieve its light and ventilation aims by reducing the height,’ he added. Cr Woods strongly opposed the attempts to keep out multinational food chains, which she described as a restriction of trade. ‘My understanding is the proponents have given verbal undertaking and I think this is a slap in the face. I think it’s probably anticompetitive,’ she said. Cr Cameron remained opposed to the development on the grounds that, despite its green credentials, it exceeded the height limit, which said could come back to bite council in future. ‘Councilllors are feeling the weight of commercial and legal pressures and they simply aren’t prepared to stand up for what’s important, he said. ‘Height is arguably the most important provision – no other more clearly reflects the nature of Byron Bay – yet we’re prepared to roll over on it. ‘For the future, when we have items like this, I would encourage the mayor and the proponents to engage the councillors and the broader community from the outset, and then maybe we can avoid compromise outcomes like this,’ Cr Cameron said. But the mayor declined to be swayed by the comments, which he called ‘mean spirited’. ‘I take umbrage at the accusation of a flawed process and the community not being involved. We need to look at what is the norm: usually a DA is lodged with staff – without us or the community having any input. It the comes to us, it goes out on exhibition, it comes back to us and we vote on it,’ Cr Richardson said. The development was approved, with the unlikely duo of councillors Woods and Cameron voting against. The building will be sited on a potentially radioactive tailings dump, the end result of decades of sand mining in the town. Yet, while it was noted as a consideration in the approval document, and despite the long discussions by councillors, no mention was made of that issue. 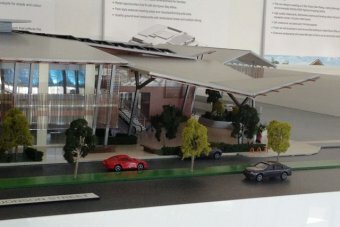 PHOTO: A model of proposed Jonson St development in Byron Bay. The Byron Mayor says the latest plans to redevelop the Woolworths shopping centre site in Byron Bay represent a seismic shift from what was originally proposed. The revised design will be considered at a local council meeting today. Simon Richardson said it includes shops, parking, restaurants and an art gallery. He said the developer agreed to go back to the drawing board after an initial public outcry. “The design that we’ve got now will be a five-star, green-star building which is the only of its kind in Australia,” Cr Richardson said. “So he certainly has ticked the sustainable box. “He’s also been quite committed to keep the more onerous chains out. “This design has a really strong focus on sub-tropical architecture. “It’s not a box that’s closed off from the street, it’s open, it’s glassy, it’s airy. “They’ve replaced things like a food court with just a couple of restaurants. The impending closure of the Ingham chicken factory at Byron Bay is likely to reignite debate about the appropriate zoning of the site. The company plans to shut down the facility by the end of October, leaving 86 people potentially out of work. 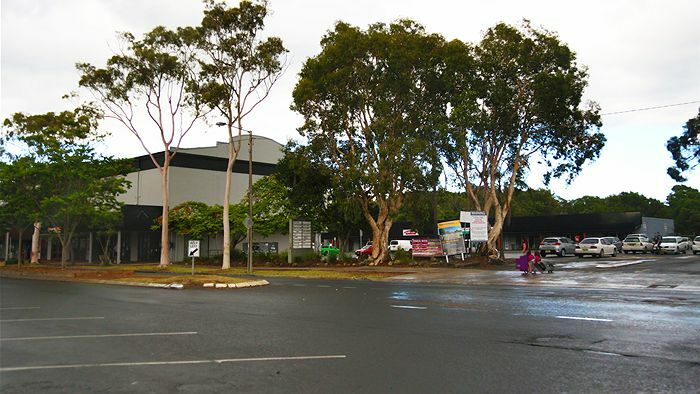 The factory site is adjacent to the proposed West Byron residential development. But Byron Mayor Simon Richardson doubts that was a factor in the Ingham decision. “I don’t think this particular development had any effect on Inghams, and certainly they haven’t said so,” he said. “But I guess with Inghams leaving that will bring an increased spotlight as to how best that site will be used in the future, knowing that there might be residents only a couple of hundred metres away. “Any site like that, that is right on that edge between potential residential rezoning and arts and industry estates, are always up a potential change of use and rezoning applications. The appearance of a substantial temporary structure erected on Byron Bay’s Clarkes Beach yesterday ahead of a planned corporate event tonight has concerned locals, not least mayor Simon Richardson. The function will involve the consumption of alcohol, something that is normally banned at the beach, and has been approved by council officers under delegation. Echonetdaily was informed of the structure by local resident Chris Brady, who came upon it during his morning walk yesterday. ‘Morning walk at Clarkes beach,’ he wrote. Cr Richardson said he was also concerned about the precedent it might set. ‘It was a bit of a shock for me too, to be honest. It’s quite a large structure, so we need to … look at it and make sure we have a clear policy direction on how often something like that might happen, who might be eligible, what sort of size and where the appropriate place to hold it might be,’ he told ABC North Coast this morning. Byron Shire Council met last week with the Jonson Street shopping centre developer and his team. As a result of the meeting, the current plans are being reworked and will be resubmitted for community and Council feedback. Mayor Simon Richardson said the meeting today was an earnest, open and extremely fruitful discussion with the Jonson street shopping centre developer and his team. “From the meeting today came the agreement for further discussion on design and ecological sustainability improvements. “With the master planning of Byron Bay town centre underway this year, both the developer and council are committed to ensuring this building reflects and even leads how we want Byron to look, feel and interact with our community. “I thank Robert Badalotti and his team for their genuine willingness to create a development that is financially viable whilst reflecting community aspirations,” Mayor Richardson said. Mr Badalotti said after listening to community feedback, he recognised there was a desire for a softer building that impacted less on the central location. “As part of the Byron Shire community we have a responsibility and keen willingness to get this building right and we look forward to presenting an alternative design,” he said.